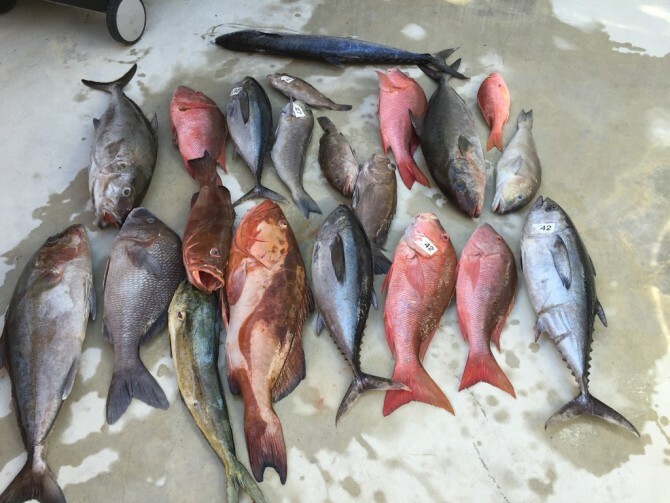 Home » Fishing Reports » July 11 2016 Cudaman Rocks! July 11 2016 Cudaman Rocks! Report from the weekend. I will let the customers tell the story! Let me just start by saying it’s fishing, not catching. We had a weird current and wind on this trip. We kept on drifting towards the wind on some areas and where there was no wind there was a whirlpool that made the lines in the bow go to the stern and the lines in the stern go to the bow. Back out tomorrow on a ultra limited load mutton trip. Back on Thursday!